When you think of French Alps activities the first things that come to mind are skiing and snowboarding. However, in the summer month once the snow melts you’ll find a vast array of fresh water lakes and rivers, perfect to try a whole host of fun water based activities. Here is our list of 5 watersports to try this summer in the French Alps: Stand Up Paddleboarding One of the fastest growing sports in the past 10 years, paddleboarding is so popular due to its diverse nature. Paddle boarding on a lake in the French Alps is a peaceful and gentle experience, where you can take in the stunning landscapes and scenery. In around 30 minutes you will have grasped the basics and be able to balance on the board and paddle correctly, leaving much time to explore all corners of the lakes. 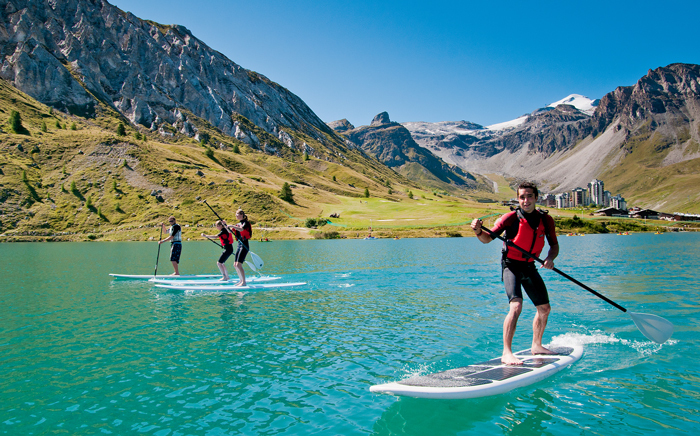 You can try paddleboarding in lakes around Morzine and Les Gets. Canyoning Possibly not a full on watersport but you do get wet Canyoning! This sport involves making way through a canyon by either walking, scrambling, climbing, abseiling or even jumping! Follow the river and travel through some spectacular areas of the French Alps with waterfalls, down chutes and plung pools. 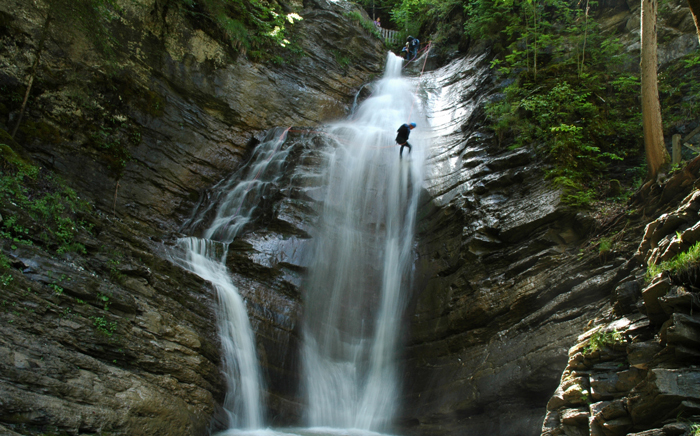 Canyoning is an exciting activity for all abilities, ages and is available in many resorts in the Alps. White Water Rafting Exhilarating and very popular the Alps are famous for their white water rapids. Your instructor and guide will kit you up and ensure all safety aspects are covered before you hit the rapids for some downstream action. 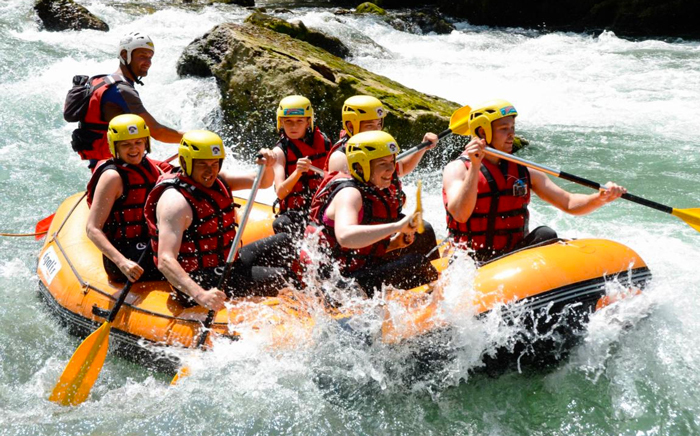 White water rafting is a must when in the French Alps and a sport ideal for an activity family holiday where you can get everyone aboard one raft! Try white water rafting in a various resorts including Morzine, Les Gets, Tignes and Val D’Isere. Dinghy Sailing Enjoy superb sailing facilities and a vibrant sailing atmosphere around many of the lakes in the French Alps. Many sailing schools offer a great range of dinghies from Optimist to Lasers and some Hobie Cats too. The conditions are generally consistent with light to medium winds which makes it perfect for beginners and intermediate sailors alike. 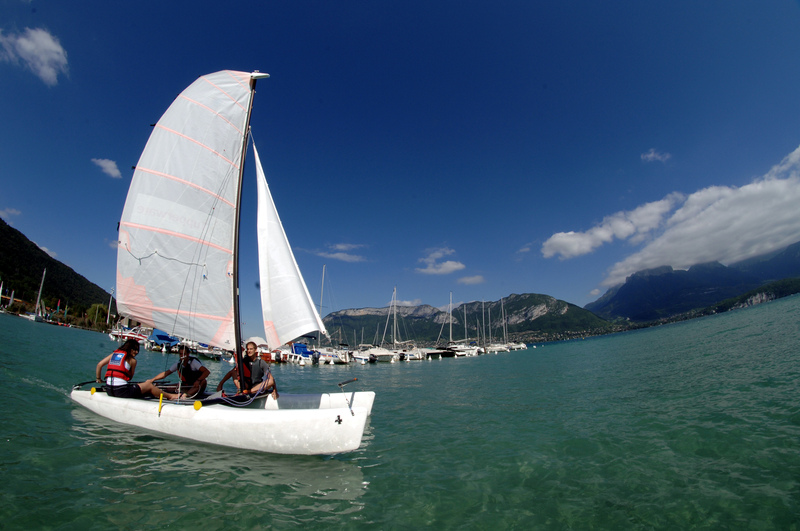 Annecy Lake is a great place to get a taste of sailing and there are lots of schools and centres to choose from.